Before we begin this little romp down memory lane there are two significant details that need to be known that are significant to the cast iron stands. The first is that in 1938 Delta offered for the first time a motor upgrade for their No. 1180 Ball-Bearing Reversible Shaper. The 1-H.P. 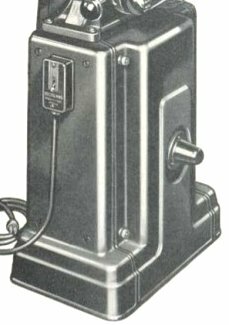 repulsion/induction motor came with its own ball tip switch mounted in a Handi-box. The switch was of course the 20 Amp Delta No. SP-2458 (Cutler-Hammer Cat. No. 8187). The second was the release of the Unisaw. Onto the front of the Unisaw the Delta engineers designed the No. 132 switch box. For the switch they used the No. SP-2458 switch. 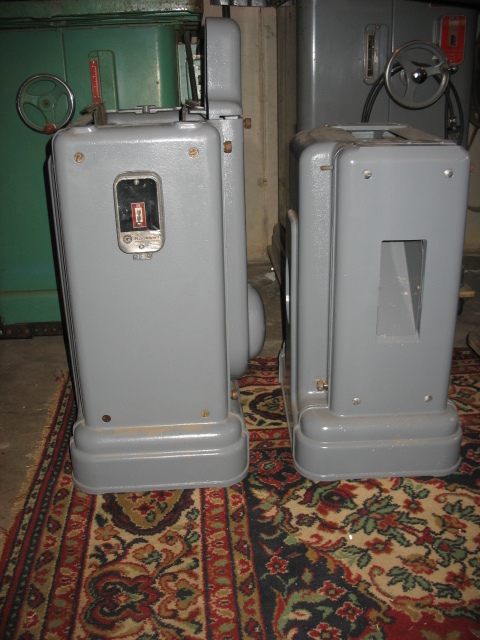 The first cast iron base (not counting grinders and multi-spindle drill press set-ups) was for the No. 654 Delta 6” Jointer (NJ casting numbers). 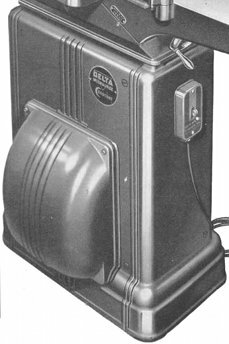 It appeared in the 1939 catalogs as the No. 667 Cast Iron Stand. Combined with the No. 654 jointer it was sold as the No. 666 6” Jointer. The cast iron stand was offered as an option to the No. 656 Steel Stand. There are additional parts and pieces (brackets and fasteners) that make up the rest of the stand not mentioned for the sake of brevity. 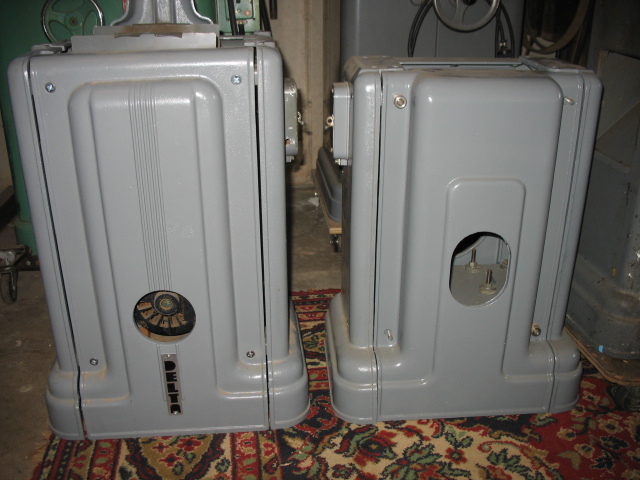 Four of the knurled nuts held on the back panel and the other four were used below the motor plate to adjust the height of the motor inside the cabinet. As an aside, the DP-741 Front Name Plate was borrowed from the No. 1399 Cast Iron Legs used with the multi-drill set-ups for the 14” and 17” drill presses. A wee factoid I learned just yesterday (Sept. 2006) at Ben Rock’s. The No. 132 switch was a separate purchase with this and other stands. The switch plate cover came with the stand screwed in place over the hole provided on the right hand base panel. The original No. 667 stands did not have a hole in the front panels for the double shafted motors. It is assumed that the hole was added when the stand was fitted out to accept the 6" X 48" belt finisher (see below). Also different on the early stands were the machine pulley cover. It had a straight taper as opposed to the flare found on the later stands. The stand first sold for $21.95. In 1955 the No. 654 6” Jointer was replaced with the No. 37-220 6” Deluxe Jointer (DJ-castings). The cast iron stand was made an option on that machine. In 1962 Delta brought out the No. 50-127 Totally Enclosed Steel Stand. This was offered in addition to the cast iron and open steel stands. The stand continued to be offered with the No. 37-220 in the catalogs up until 1966. At that time it sold for $76.70. The next cast iron stand to be offered by Delta was the No. 886 for the No. 890 14” Wood Cutting Band Saw and the No. 880 14” Metal Cutting Band Saw. 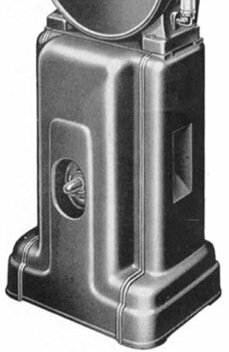 It first appeared in the 1941 catalog. It was offered as an option to the No. 891 Open Steel Stand. In 1944 the Cat. No. 883 Cast Iron Belt Guard was replaced with the No. 883 Pressed Steel Guard. In 1962 Delta brought out the No. 50-122 Totally Enclosed Steel Stand. This was offered in addition to the cast iron and open steel stands. The No. 886 Cast Iron Stand was offered up until 1966. At that time it sold for $82.00. 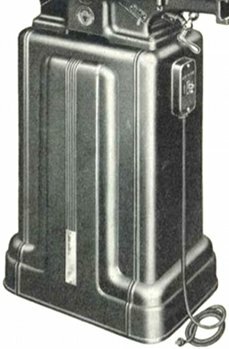 This stand first appeared in the 1940 catalog and was an adaptation of the existing No. 667 6” Jointer Stand with the addition of parts making it specific for use under the No. 1400 6” X 48” Belt Finisher. It was offered as an option to the No. 1406 Open Steel Stand. As mentioned the parts used here were pre-existing. The BS-263 Sub-Base was employed to cover the hole at the top of the stand and laid out to attach the No. 1400 machine. The BS-264 pulley guard is asymmetrical in layout to the NJ-287. It is also larger (for a larger machine pulley). In 1962 Delta brought out the No. 50-125 Totally Enclosed Steel Stand. This was offered in addition to the cast iron and open steel stands. The No. 31-852 Cast Iron Stand was offered up until 1966. At that time it sold for $96.60. Like the No. 31-852 stand the pre-existing No. 886 stand was adapted for use under the No. 1160 10” Tilting Table Saw. 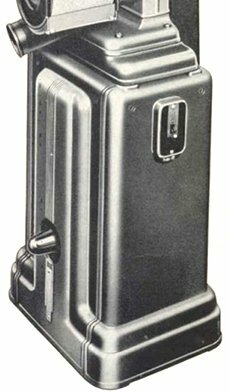 It first appeared in the 1943 catalog was offered in addition to the No. 891 Open Steel Stand. The major difference between the No. 886 stand used for the 14” Band Saw and the 10” Tilting Table Saw is the belt guard. On the table saw this part is cut off at the top to allow the saw’s machine pulley to come as close as possible to the underside of the saw table when the blade is at its highest position (table lowered). The No. 1160 10” Tilting Table Saw was eventually discontinued in 1956. 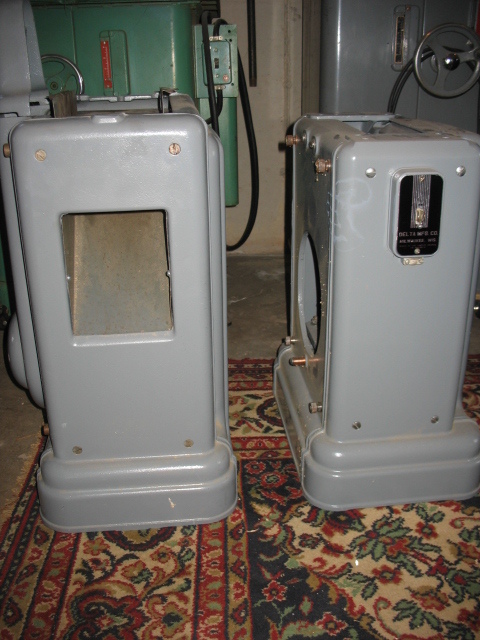 The last machine to be fitted with a cast iron stand was the No. 37-301 Delta (Crescent) 8” Jointer. This jointer was made available without the stand but no open stand was ever offered. As you can see the two side panels have been borrowed from the No. 667 Cast Stand. In 1962 Delta brought out the No. 50-370 Totally Enclosed Steel Stand. This was offered in addition to the cast iron stand. The No. 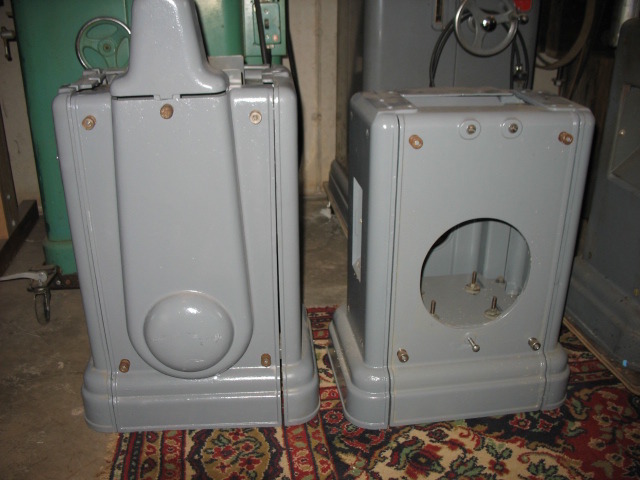 37-302 Cast Iron Stand was offered up until 1966. At that time it sold for $104.65.